Welcome to the fifth installment of my Teach Them Diligently series. If you’re new here and would like to see the other topics, click below. Our kids do earn “commissions” for a few set chores each week, but the skills we are working on this year are “just because” skills. They will learn to purge their things “just because” it’s a wonderful life skill to know how to get rid what you are no longer using in order to maintain some basic organization! Let me begin by saying that no matter how much we already purge, organize, donate, sell or throw away, we, like most Americans, have WAY TOO MUCH STUFF! I’m pretty relentless about keeping only what we love and use by doing a monthly Goodwill donation, but we still have way more than we need! This month, as the school year has drawn to a close, was a perfect time to work with the kids to assess some of their toys and school items. 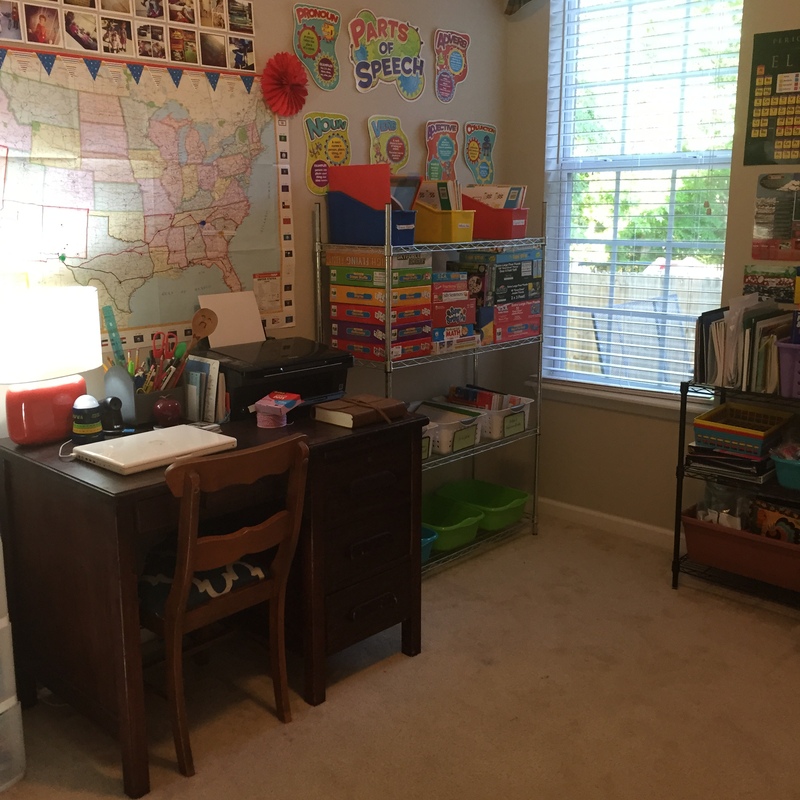 The last several weeks before the end of school are usually a time of survival mode and in our haste, we often let our closets, drawers, and shelves get cluttered. Since they were little bitties, our kids have always been responsible for keeping their own rooms tidy and their own toys put away. So this lesson isn’t new to them. In fact, most of the time our kids are good to get things back in order with a simple request. I do my part to help them think through a good space plan and provide them with the proper containers, baskets, boxes, or bins. Every season, I go through everyone’s clothes. I take many of the kids things to Kid-to-Kid and any items they reject, I take next door to Goodwill. Thomas, Mae, and Kate are involved in this process too. In our school room, we get rid of consumable workbooks, used folders, and old work. I know some people keep those items, but not me. I have “special” boxes for each of the kids and I only keep extra, extra special items like awards certificates, programs, and meaningful artwork or writing samples. We spent considerable time in our bonus room recently and got rid of a few more things; old Nerf guns that no longer work, broken toys, toys that no longer have their matches, games that were missing pieces. Usually every other month, I send the kids upstairs with a trash bag and tell them to throw away any garbage or messed up toys. We make a pile of “gently loved” items to send to Goodwill. The practice of purging helps us do a few things. First, it gives us an opportunity for teachable financial lessons. My son got rid of a broken Nerf Gun that he spent almost $30 of his own money to buy. We had some good conversation about money, spending, saving and the value of things. The same holds true with the way some of the American Girl ($$$) dolls and accessories are being taken care of. Second, purging reminds us of contentment. Instead of always wanting more, wishing for more, bigger, newer, or better…it allows us a moment to be thankful for the abundance we already have. This most recent time of expunging our mess, the kids and I all made a decision that they wouldn’t use their money to buy more LEGOs this summer. They have plenty. Third, purging gives us a chance to deeply clean out our boxes and behind our shelves. I can’t tell you the times when my kids were very young that I’d dump all of the toy bins and find an old apple core, an empty bag of chips, a moldy sippy cup, or other trash that somehow got overlooked. When you have a purging session, it’s an opportunity to show good stewardship of what you have by keeping things clean and in good operational order. Fourth, it keeps us all from totally freaking out when we move. There’s no panic of “Wait, how did we get all of this stuff?” Purging a little at a time means that when it’s time to move, I don’t really have to purge at all. 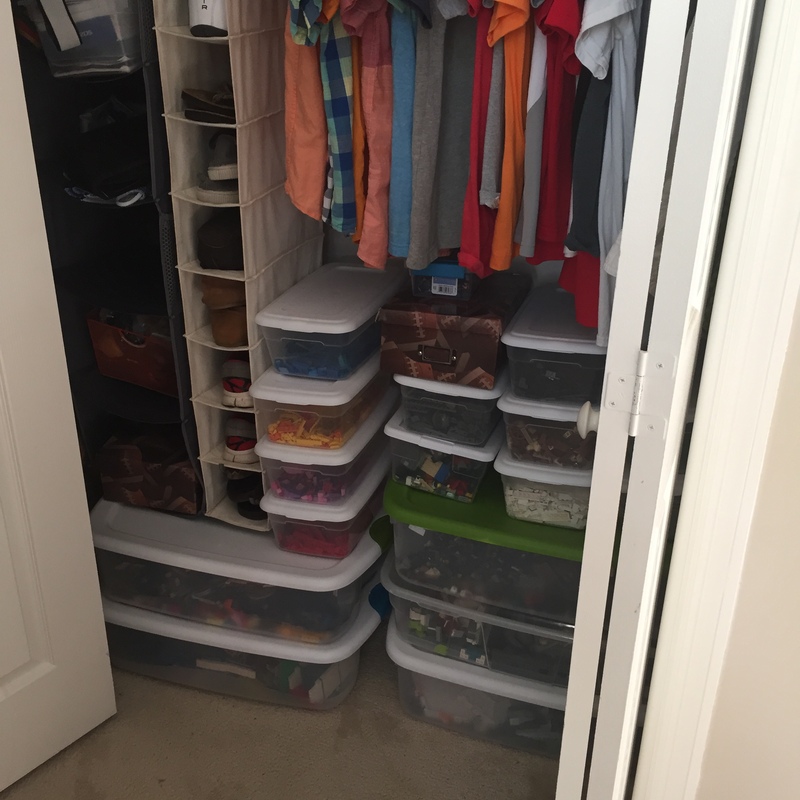 There are no overwhelmed closets, no overflowing attics, and no need to have a dumpster delivered to the house to trash a bunch of piled up junk. Thank you, Army. Finally, purging is usually a fun time to take a trip down memory lane. When going through old school papers, we can fondly reflect on a particularly great writing assignment. When digging through the mountain of doll items, we see McKenna’s crutches and gold medal and think back to Kate’s fifth birthday where we celebrated gymnastics-gold style! I know the toy days are limited in our house. Already, besides some Nerf stuff and his LEGO bricks, Thomas doesn’t really ever “play” with toys. The girls are down to their dolls, LEGO bricks, and kitchen stuff. On occasion they will still play with the Playmobile and Lil’ Woodzeez toys. 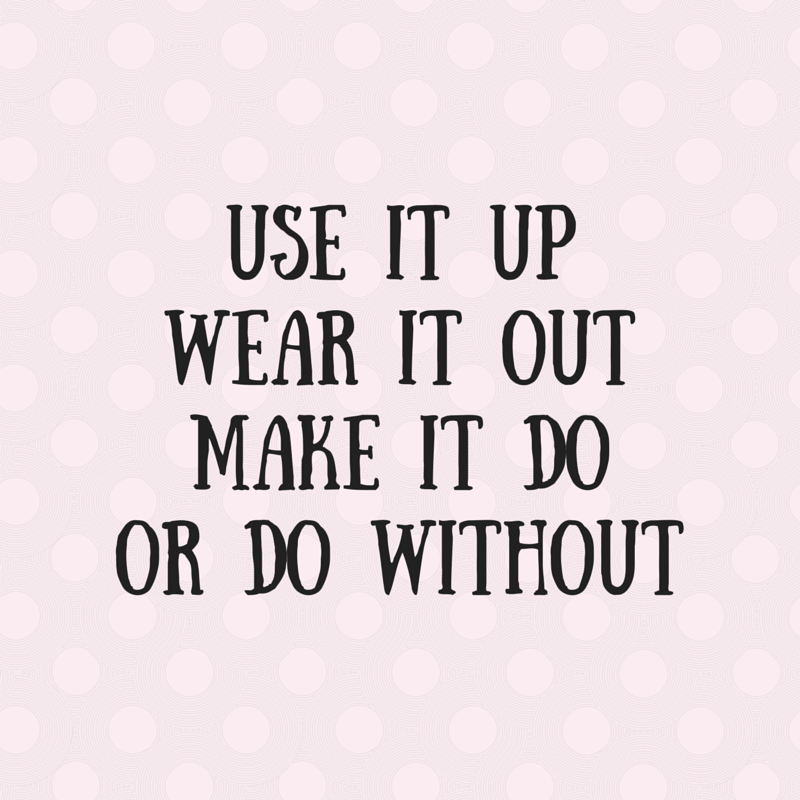 The process of purging our belongings when they have been “used up” or “worn out,” reminds us to take good care of what we have and reminds us that we shouldn’t place too much value on our things.